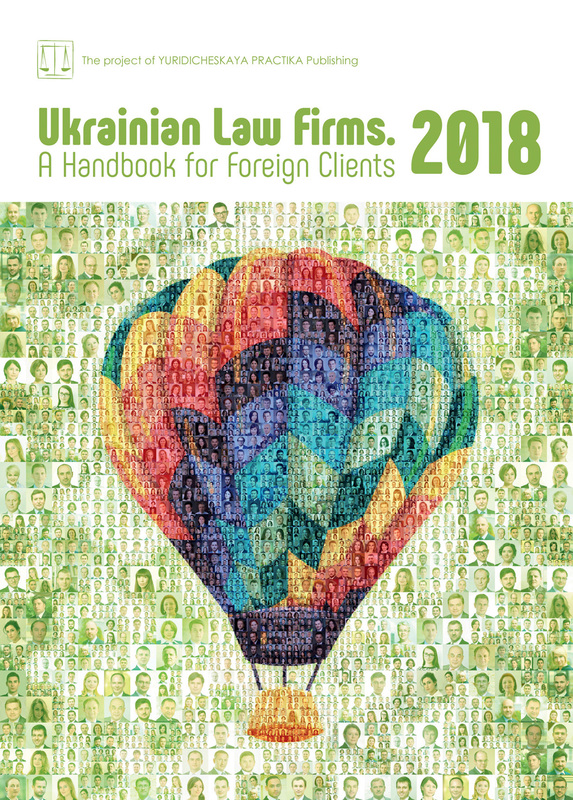 This article analyses the legal framework under which the “green” energy market in Ukraine operates and covers recent developments in oil and gas law. Ukraine’s new Energy Strategy, entitled “Safety, Energy Efficiency, Competitiveness”, was adopted on 18 August 2017 by the Decree of the Cabinet of Ministers of Ukraine No.605-p On Approval of the Energy Strategy of Ukraine for the Period until 2035. This Strategy provides for the following three stages of development: (1) reform of the energy sector; (2) optimisation and innovative development of infrastructure; and (3) ensuring thereafter continual development. The first stage is aimed at ensuring that alternative energy sources will reach an 11 per cent. market share of total consumption and an 8 per cent. share of the total energy supply by 2020. The second stage provides that by 2025 Ukraine will be fully integrated into the continental part of the European Network of Transmission System Operators for Electricity (“ENTSO-E”), as referred to in the Ukraine–European Union Association Agreement. The third stage aims for alternative energy sources to constitute 25 per cent. of the total energy supply by 2035. In December 2017, Ukraine also joined the International Renewable Energy Agency (“IRENA”). The Law of Ukraine No. 555-IV On Alternative Energy Sources of 20 February 2003 (“Alternative Energy Law”) defines the principles for the use of alternative energy sources in Ukraine. On 13 May 2017, the Alternative Energy Law was amended to stimulate production of electric energy from renewable sources by increasing the “green” tariff for Renewable Energy Sources (“RES”). The Alternative Energy Law determines which RES are eligible for the “green” tariff, more broadly applying it to wind, solar, biomass (including waste from agriculture and forestry), biogas, micro, mini and small hydroelectric power plants and geothermal energy. There are also other related mechanisms to stimulate RES in Ukraine, such as “green” tariffs and tax exemptions, as discussed below. The “green” tariff rates are specially high tariffs under which electrical energy produced from RES is bought, including for hydroelectric power from micro, mini and small power stations. These “green” tariffs apply to legal entities generating energy from all types of eligible RES producers as well as private households generating wind and solar energy having a generating capacity not exceeding 30 kW, and including both new projects and existing renewable energy producers. The National Commission for the State Regulation of Energy and Utilities (“NEURC”) regulates the gas and electricity sector in Ukraine and establishes the actual “green” tariff for each RES producer. It also issues licenses and generally oversees the business activity of energy companies in the power sector. Where two or more RES are operated simultaneously by a producer, then the producer needs to receive a “green” tariff separately for each source. Where the power generating units belong to one power plant (for example, a group of wind power stations), one “green” tariff will be set for the entire power plant. Energy distributors and suppliers are obliged to purchase electric energy in those instances, and at the volumes and prices, as determined by NEURC. The size of the “green” tariffs set by NEURC cannot be lower than the guaranteed minimum “green” tariff, which is set in Euros at the end of each month. Ukraine has the highest rates of “green” tariffs in Europe, with the current tariff structure set through 1 January 2030. The state also provides certain guarantees for those selling electricity produced from a RES. For example, the wholesale electricity market operator is legally obliged to purchase such electricity produced from the RES at the “green” tariff. Until 2015, only RES producing plants with more than 50 per cent. of Ukrainian origin equipment could qualify for the “green” tariff. This restriction has now been lifted by the Law of Ukraine No. 514-VIII, On the Introduction of Changes to Certain Laws of Ukraine with respect to Securing Competitive Conditions for the Production of Electricity from Alternative Energy Sources of 4 June 2015, so the application of “green” tariffs will no longer depend upon the origin of the RES production equipment. At the same time, RES plants with more than 50 per cent. Ukrainian origin equipment will get a bonus of an additional 10 per cent. to the applicable “green” tariff. Presently, the Tax Code of Ukraine provides an exemption from customs duties and VAT for the importation of raw materials, machinery, equipment and other components that will be used in the production of electricity from RES, including for the reconstruction of existing and the construction of new facilities. Licenses for renewable energy are granted separately for activities related to the production, transmission, distribution or supply of electric energy, the functions of a guaranteed buyer, and the functions of a system operator. The production of electricity by a business entity without a license is allowed only if the value of the installed capacity or release of electric energy is less than that determined in the conditions and rules for industrial activities for the production of electric energy, being currently 5 MW or more. fixed rates for production sharing agreements (“PSA”) set at 2 per cent. and 1.25 per cent. for oil and gas, respectively (according to such PSA projects, the investor transfers a share of the extracted products to the state). In addition, pursuant to the Law of Ukraine No. 2314-VIII On Amendments to Several Legislative Acts of Ukraine Regarding the Simplification of Several Aspects in the Oil and Gas Sphere of 1 March 2018, the Central Committee on Issues for Oilfield Development of the Ministry of Energy and Coal Mining of Ukraine is to be liquidated and mandatory development project verification will be cancelled. The special license to remove the fertile surface soil layer, and the license for drilling wells and associated objects, will no longer be required either. Moreover, the process for the allocation of land for drilling wells is to be conducted much faster, including because this new Law provides for the establishment of special servitudes for oil and gas and the possibility for drilling using these servitudes. Investors will also now have the opportunity to enter into PSAs under lower rental fee rates than those established by the Tax Code of Ukraine, so the parties to a PSA are free to agree on the rental fee rate as they see fit. Currently, the Ukrainian electricity market operates under the framework of the Wholesale Electricity Market Members Agreement, whereby Ukraine adheres to the “Single Buyer Model”, under which the state enterprise “Energorynok” acts as an intermediary between the energy-generating companies and the wholesale electricity supply companies. Energorynok acquires all bulk electricity produced and sells it in accordance with guidance issued by NEURC. However, the new Law of Ukraine No. 2019-VIII On the Electricity Market of 13 April 2017, introduces changes to this “Single Buyer Model” system, and suggests that Ukraine will gradually move to a market-based system, with more contractual freedom for the parties producing and purchasing energy, as well as energy traders, to participate directly in market activities, without intermediation by Energorynok. According to this Law, these objectives are to be achieved by 1 July 2019.